Over the recent years, Beijing has cemented its authority as the perfect destination for business and pleasure. The city boasts of a diverse culture, embodied in a blend of modern architecture and authentic ancient heritage. No wonder many revelers and tourists crowd the mystic city to relish its natural and man-made attractions. If you want an exciting and memorable experience when staying in Beijing, be it for business or pleasure, you must consider several factors. 1: Do you want to dwell in the customary Hutong Courtyard hotels or stick to the modern Western chains? 2: Would you wish to stay in the city bubbling with striking architectural designs, or in the pristine country amongst the indigenous population to share their rich indigenous culture, art, and cuisine? 3: Besides, you should ascertain whether you need to stay near shopping malls, cities with bustling night lives, boutiques and so on. 4: Last but not least, you must find out how you will commute from one place to another during your stay. Will you walk, take a taxi or the subway? Making all these decisions can be daunting more so to a first timer who might have no idea of the perfect place to stay. So how exactly does one identify the ideal location to stay in Beijing? Secure accommodation that centers around your area of interest, as it helps to reduce your traveling expenses significantly. For instance, if you want to visit a lot of tourist attractions, the city center would be the ideal place to stay. However, if you relish sightseeing, enjoying the nightlife or shopping you will be better off residing along the City center’s eastern side. Some of the favorite locations include hotels located along the east 2nd ring road and east 3rd ring road in the Chaoyang and Dongcheng districts. Next, decide the kind of accommodation that fits your budget, tastes, and preference. Do you want a residential kind of neighborhood like Wangjing, or one that beams with commercial activities like Wangfujing? Most tourists prefer boarding in the Wangfujing areas. The good thing is that Beijing has many offers to suit any budget. Determine how you will move from one place another. Most of your traveling around Beijing and when visiting attractive sites like the Forbidden City will be on foot. So be kind to your feet. Ensure to include a set of comfortable shoes; you will thank me later. Besides walking, there is the more convenient and affordable public transit system, which operate every day, throughout the year. Using the system, you can visit at least 80% of the tourist’s attractions. Whether you intend to walk, ride the public system or subway, look for accommodation that would conveniently help you move comfortably. For instance, if you plan to use the subway, stay near it. The Ultimate Tourist Locations in Beijing. Some of the renowned tourist cities in Beijing include the Wangfujing, Qianmen, Houhai or Nanluoguxiang, and the Xidan. While all these cities provide adorable accommodation facilities, they each have a distinct and unique taste. If you need the perfect vacationing accommodation, Wangfujing is the place to stay. It is synonymous with tourist activities. For starters, the Wangfujing Street is strategically located at a central point to all prominent attractions like the Forbidden City and Tiananmen. Furthermore, you can count at least fifteen hotels in the area. The hotels range from budget friendly options to the high-end luxurious suites. Staying in this area guarantees you ample time and access to shop for antiques, gifts, and souvenirs, as it has an important shopping street packed with items guaranteed to satisfy your shopping cravings. Apparently, all the shopping and sightseeing will make you famished, but not to worry. 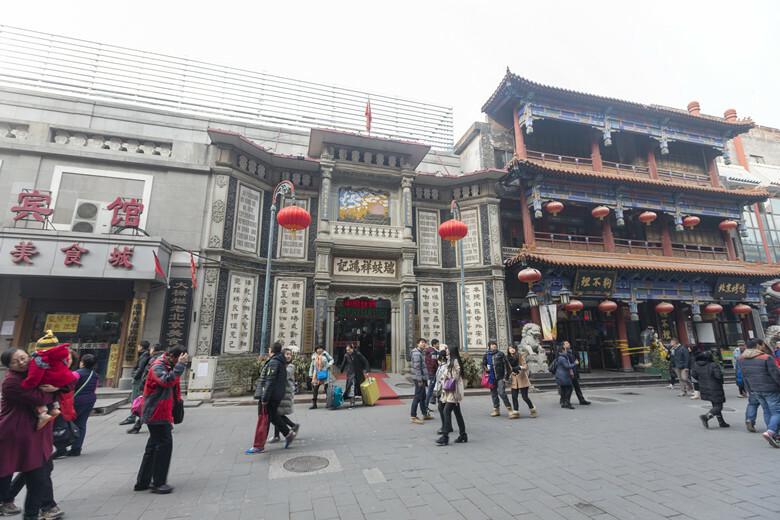 Located towards the west side of Wangfujing, is the famous exotic Wangfujing Snack Street, widely known for delicious and sumptuous western cuisine. A major challenge though when staying in the city is getting a taxi, especially on weekdays. If you want to experience the vibrant Beijing ancient culture, and way of life, staying at the Houhai or Nanluoguxiang areas would be an excellent choice. The two regions have accommodation and recreational establishments that showcase the indigenous Beijing heritage. These include hotels, restaurants, fun cafes, shops, bars, hostels, as well as the traditional Hutongs courtyards. The areas also have a lot to offer when it comes to attractions. For starters from the city, a tourist can visit the Houhai Lake, drum tower, the Prince Gong Mansion and other interesting sites within the Hutong areas. While sightseeing, you can also visit the shops and get souvenirs like notepads and phone cases that have traditional artwork designs. Moving within these regions is also quite comfortable thanks to the subway line 6. Staying in the Houhai or Nanluoguxiang areas also offers you the perfect opportunity to sample the indigenous and authentic Beijing cuisine. The area around the bell or drum tower has many local restaurants bound to delight your tastes buds. A person visiting Beijing for sightseeing will love staying the Qianmen area. Besides being the historic center of Beijing, the Qianmen was also a famous red light district during the Qing Dynasty. It offers the best place from which to explore the Forbidden City, Dazhalan and the Tiananmen Square. Located in the south of the square is the Qianmen station at line 2, which makes maneuvering within the city easy. However, if you want to make the most of your stay, the best option is to walk. You can reach the Forbidden City by passing through Qianmen and Tiananmen. Only avoid the main street and stick to the side streets. If you desire, you can extend your walk to Dazhalan. Along the side streets, you will find several restaurants serving delicious meals, as well as trading shops and market stalls that sell silks. If there is a place that caters for everyone’s shopping and fashion needs, it is Xi’dan. 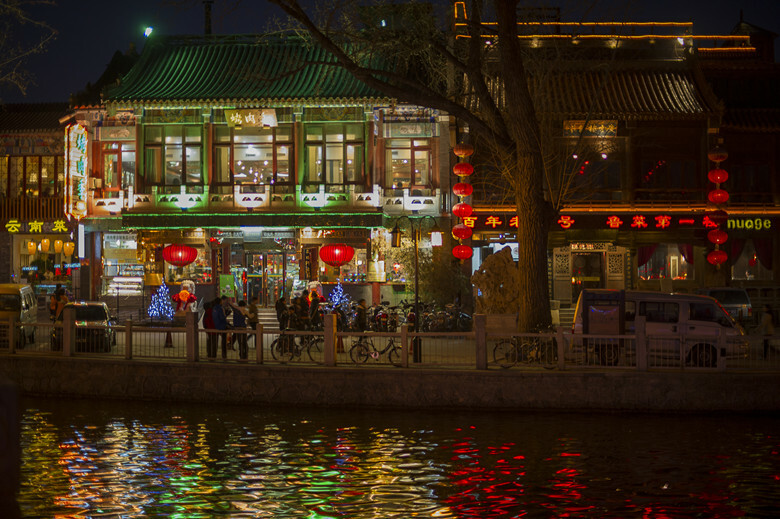 Besides offering suitable accommodation, delicious meals, and breathtaking site seeing offers, Xi’dan is a traditional commercial hub in Beijing. It features an extensive street that houses shopping malls, boutiques and clothing stores. Most of these shops trade in fast fashion, classic and fancy International brands like Zara, Gap, H&M, and DKNY. There are, however, others that deal with less pricey, locally manufactured garments and accessories. When it comes to accommodation and restaurants, Xi’dan has numerous modest hotels and hostels to suit anyone’s budget. Furthermore, it is only two kilometers away from the Tiananmen Square, making it the perfect choice for a holiday stay. You can print the address in both English and Chinese to get to your place by taxi. If you are interested in requesting any tours, please submit your request using the form below. Please include as much information as you can to help us give you the best and quickest service possible. If you have any questions, please contact +86 185 1025 4530 via Whatsapp / phone / Wechat / Skype for additional information.